Harbor View Restaurant has been around since 1985 and is everyone's go-to place for fresh and affordable seafood in a relaxed and friendly atmosphere. Flanked by the panoramic skyline and the scenic view of Manila Bay, it can be a romantic dining experience for two or a casual meal amongst friends. The restaurant has a roofed jetty that stretches out into the water, offering an incredible view of the bay, especially during sunset. This, along with the gentle sea breeze and bright Japanese lanterns, makes for a lovely ambience. Harbor View Restaurant's menu is a delightful mix of Asian and Western cuisine, but the obvious star is definitely the seafood selection. 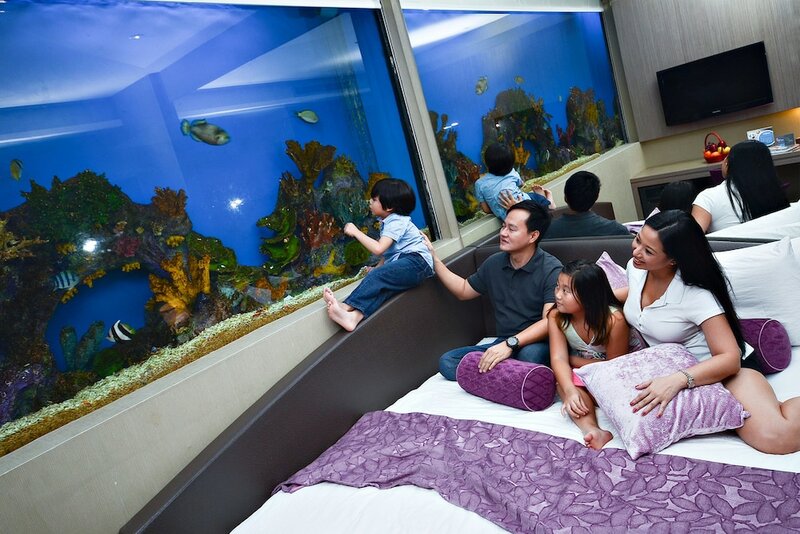 Here you can choose live seafood straight from the aquarium and have it cooked to your preference. There's no shortage of fishes, crabs, and lobsters. Diners mostly rave about the garlic prawns and we could say it is indeed a must-try but so are the sweet and sour fish and the baby squid. As a testament to its enduring presence, guests will notice hundreds of photos decorating the wall by the entrance corridor. These are photos of satisfied customers through the years, many of whom are quite well-known celebrities.